They say that one of the biggest life-savers in human history was discovered by accident. In 1928, Alexander Fleming’s laboratory assistant accidentally left a window open overnight, allowing blue-green mold to contaminate a dish of Staphylococcus bacteria. Initially incensed by this act of negligence, Fleming would, however, notice something unusual under the microscope—the bacteria surrounding the mold were either dying or dead. Somehow the mold was preventing the bacteria from forming new cell walls and reproducing. As it turns out, the fungus in question was Penicillium chrysogenum. And the drug family that was developed from this natural substance, which we now know as penicillin, would change the course of medicine, allowing for the successful treatment of such historical killers as meningitis, pneumococcal pneumonia and syphilis. Not content to wait for good luck to fly in through the window, many scientists would also be motivated by this development to set out in search of natural products to treat human ailments. 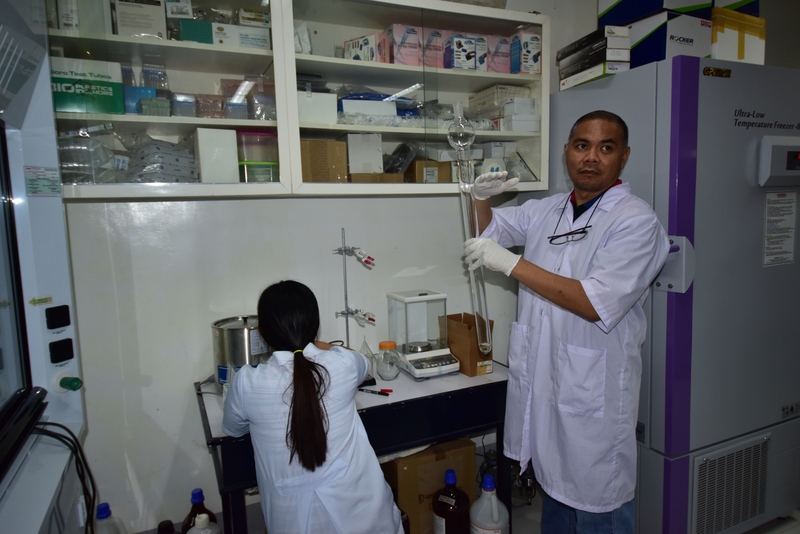 Thus, so-called “mega-diverse” countries like the Philippines received significant scientific interest for the promise of novel compounds to be found in their terrestrial and marine environments. 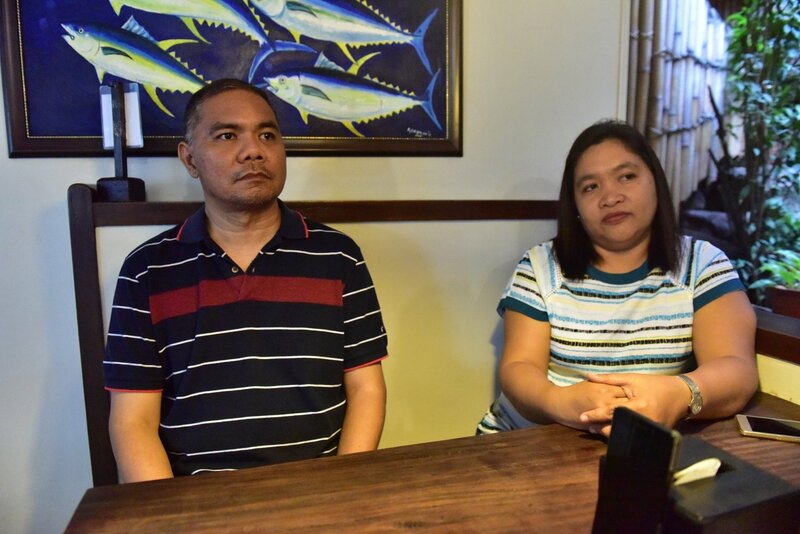 Fresh from earning degrees in the United States and Japan, both Dr. Joel Hassan Tolentino and Dr. Aleyla de Cadiz of UP Mindanao’s College of Science and Mathematics (CSM) openly admit that such a quest was not initially on their minds. 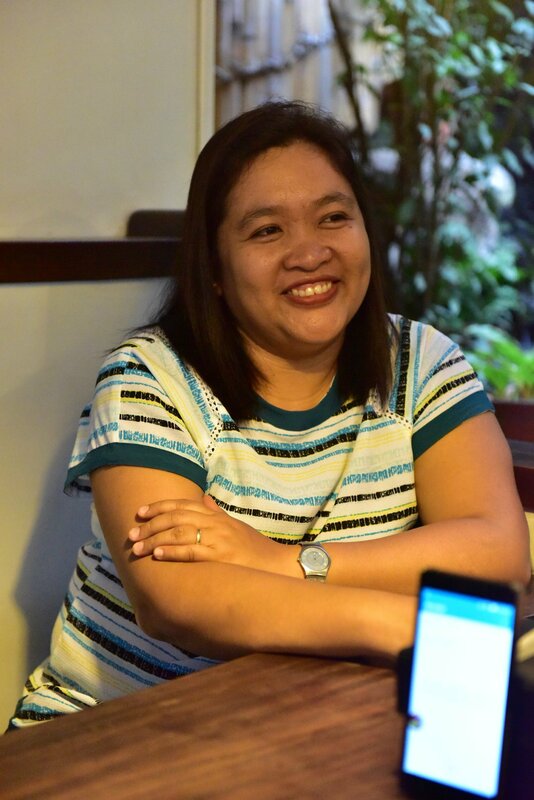 Experts in leukemia and amoeba transcriptomics, respectively, the pair decided to take on the challenge back home anyway, as researchers under the DOST PCHRD’s “Drug Discovery and Development of Health Products” program. This commitment meant that Joel and Aleyla would be applying their hard-won skills for a new purpose. Their current goal is to find natural bioactive compounds against lung cancer, the leading cause of cancer deaths in the world. Their source? The endemic and abundant plants of Mindanao. 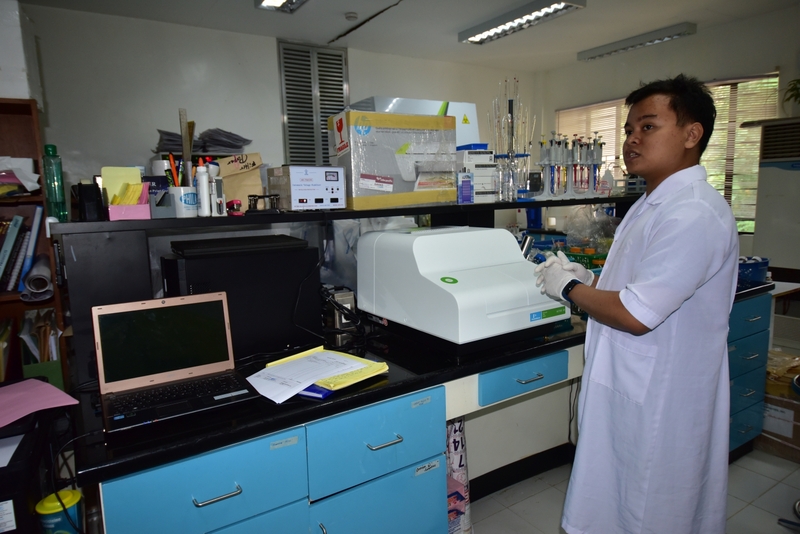 The DOST PCHRD’s program taps laboratories from around the country, including four UP constituent universities (CUs)—Diliman, Manila, Baguio, and Mindanao—in the search for drugs and therapies derived from natural products. In UP Mindanao’s case, the search for bioactive compounds involves sampling the area’s terrestrial plants and organisms. This fact has necessarily turned both Drs. Tolentino and de Cadiz into “plant persons,” as they combed the region for samples to bring back to the laboratory. “In Phase One of the project,” Aleyla says, “we had to collect 300 plant extracts,” which were composed mostly of the bark, leaves and stems of around 110 plants that are either endemic, native to the country and Asia, or abundant onsite. Together with their research assistants (RAs), both researchers saw their search for samples as an adventure. After their initial plan to do a collection in Mount Apo failed to materialize, Aleyla says they braved an almost three-hour walk through the fields to get to UP Mindanao’s land reserve, which in turn was cut short due to security issues. Finally, a chance discovery by one of their RAs led them to a semi-wild forest in Tagum’s Banana Beach Resort. With the owner’s support and a permit from the DENR, the team finally began their work in earnest. After an extensive sample collection and identification stage, the project is now in its second phase, the one where the skill set of both microbiologists is brought to the fore. Joel calls this the “isolation and purification” phase. At the end of the previous phase, the extracts for bioactivity against certain cancers and diseases were screened. In addition, he says, “we also test them on normal cells, like liver cells or kidney cells, to see if we can use them ‘as-is’ for treatments. Our ethnic groups, for example, use herbal plants as-is to treat their illness.” Some plants with cancer-killing activity, however, are toxic to humans. “Once we understand the compound we can also find other sources that have the same basic structure and by chemical synthesis just add on the rest.” This, both say, reduces the complications of collecting from the wild, where plants are subject to natural phenomena like fires or typhoons. It also avoids killing the plants, which can happen when for instance, researchers remove the bark from a tree. A more contemporary model of what Tolentino and de Cadiz hope to achieve is exemplified by the case of camptothecin, a chemotherapy drug obtained from the wood and bark of Camptotheca acuminata, a tree native to China. First isolated in the 1960s, Joel remarks that the compound was initially toxic to humans. “So initially that particular compound did not progress,” he explains, citing its lack of water solubility and side effects in clinical trials. Eventually, however, via chemical synthesis, scientists from the United States were able to modify the compound’s structure. Analogues of camptothecin are used today in the treatment of breast, ovarian, lung, and other cancers. Lastly, despite the nondisclosure agreement that prevents them from naming the species they are focusing on at present, Tolentino and de Cadiz hope that their findings will inspire more Filipinos to take better care of their native flora. The ethnobotanist Michael J. Balick said the secret to why traditional cultures found so many effective natural treatments was consummate experimentation; with members constantly observing, testing and trading with everyone they met. These modern-day herbalists are in many ways doing the same thing, and, with the help of modern science, just might revolutionize medicine again.